If you are looking for a creative yet EASY Valentine’s dish, this may be something that you could throw together in less than 10 minutes. If your better half likes cheese and tomatoes, this just might be the recipe for you! All you need are the salad ingredients plus the heart-shaped and/or X’s and O’s mini cookie cutters (I bought for $2 at Hobby Lobby) and you are good to go! 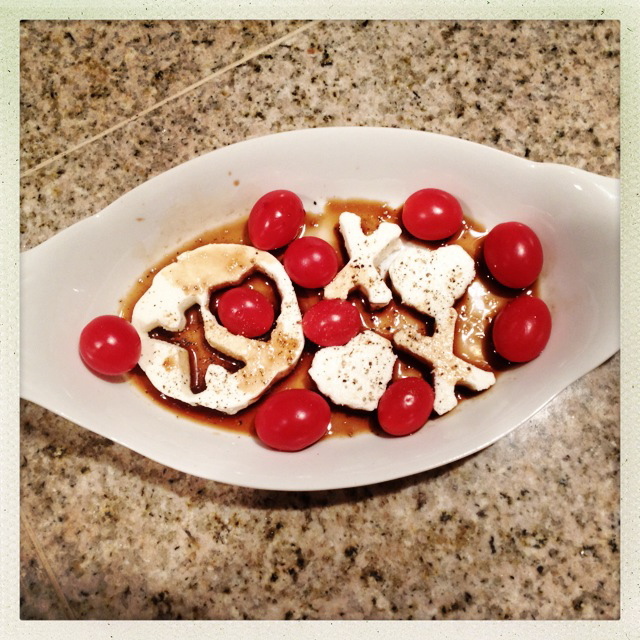 Waaalaaaa, I present you with a Valentine’s Day Caprese Salad! 1. 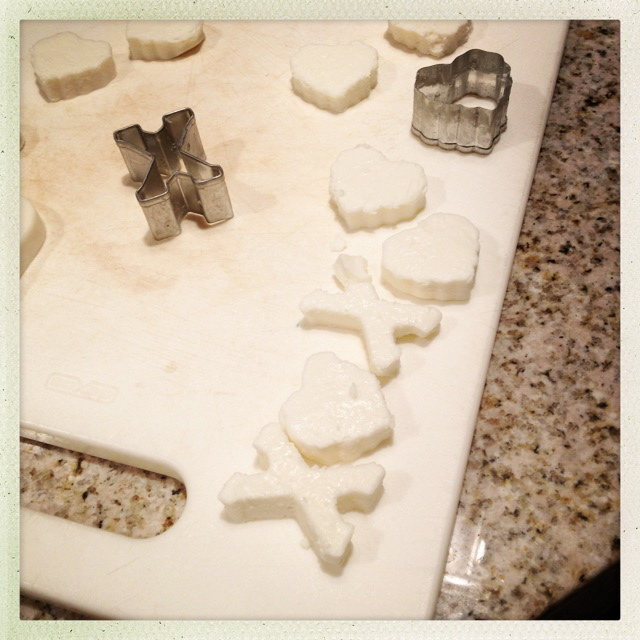 Cut out shapes carefully with mini cookie cutters (hearts, X’s, O’s, I ❤ U’s all etc all work). Cut out as many as you want in your salad…and have fun eating the edges or save them for another use (like melting in another dish). 2. In a small bowl, toss tomatoes with a drizzle of balsamic vinegar and olive oil. 3. Place cut-out mozzarella pieces in or on a serving dish or plate. Add tomatoes. Sprinkle with salt, pepper and basil. Enjoy!